HARK have announced new European dates as special guests of PRONG. In this role, the Welsh heavy rockers will be joined by Belgian sludge-heads STEAK NUMBER EIGHT. 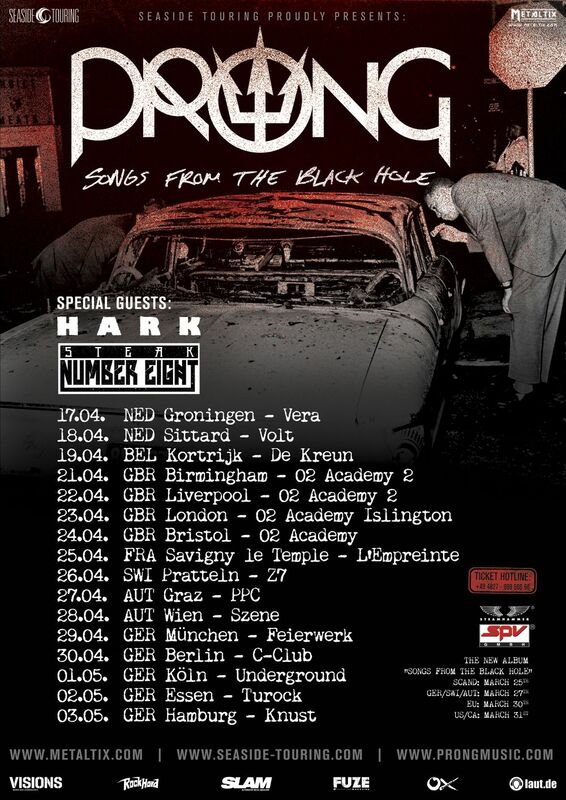 The tour will kick off in The Netherlands at Groningen’s Vera on the 17th of April and continue to rock Belgium, the UK, France, Switzerland, and Austria until a final leg of five dates in Germany with a last show in Hamburg at Knust on May 3rd. A full list of shows can be viewed below.